Offering superb value for money, this entry-level cordless DECT phone offers exceptional ease of use thanks to its large buttons, clear display and intuitive set of controls. It supports the Caller ID service, and it provides storage for up to 20 names and numbers of your most important contacts. Additionally, you can scroll through the last five numbers to redial them without having to enter them again or navigate through your phonebook. 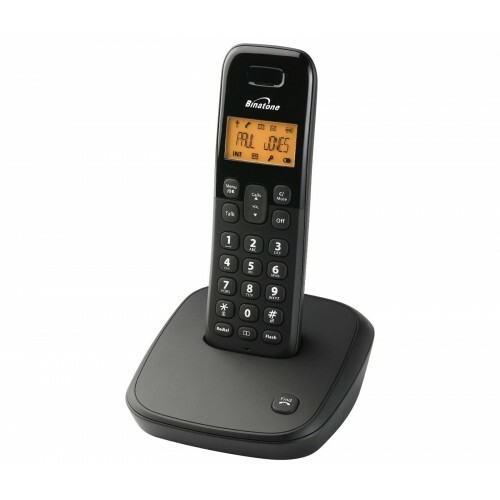 Equipped with a compact base station that also charges the phone, the Veva 1700 provides up to ten hours of talk time on a full charge, while on standby, it can last over four days. If you have the Caller ID service activated with your landline provider, the phone will display incoming callers so that you'll know who is calling you before you answer the phone. Making use of modern DECT technology, the Veva 1700 features a long range of up to 300 metres outdoors and up to 50 metres inside the house. For the added comfort of hands-free phone calls, you can switch calls to the speakerphone at the press of a button. Like most DECT phone systems, the Veva 1700 is also scalable, allowing you to have up to six handsets registered to the same base station. If you are looking for an affordable cordless phone for your everyday calling needs, the Veva 1700 is an excellent choice.